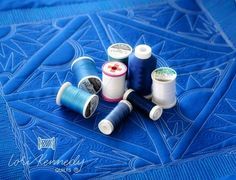 Learning how to choose the right needle for your sewing projects is a skill that saves time and fabric. Sometimes many needles will do while other times only one specific needle will get the job done. So how do we choose the right sewing needle? 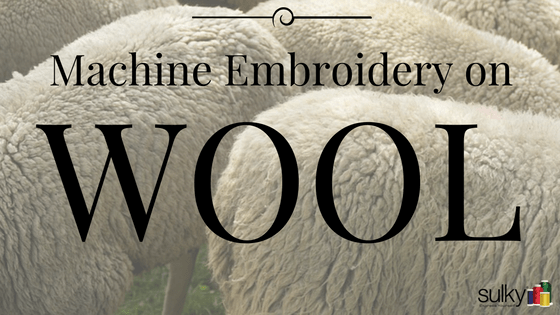 What type of fabric are you sewing: woven or knit? 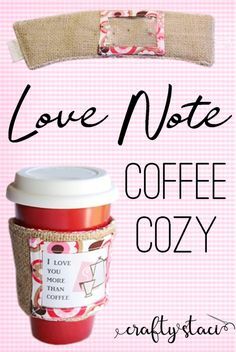 What technique are you using, such as topstitching, applique or embroidery? What thread weight are you using? The lower the number, the thicker the thread. So if you’re using a 12-wt cotton Petites thread, you’ll need a size 100/16 needle. Universal needles are deceiving. They cannot be used for a knit fabric; therefore they are NOT universal. They are also not recommended for denim or heavyweight materials. Don’t purchase a slew of universal needles in several sizes and think you’re ok to sew everything. 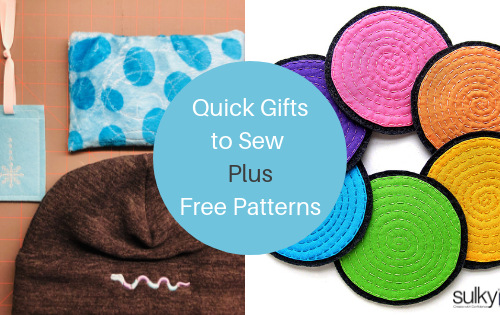 There’s a reason other needle types exist, and it’s to make your sewing life easier and more fun! 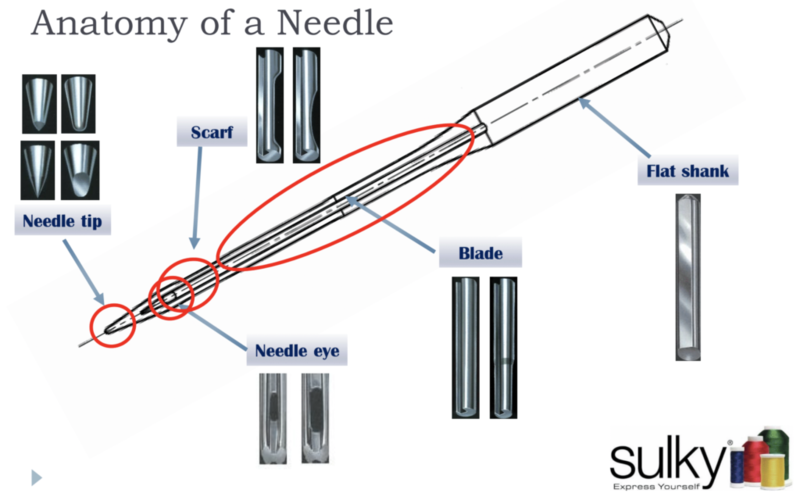 Different needle types have different points, blades and scarfs. 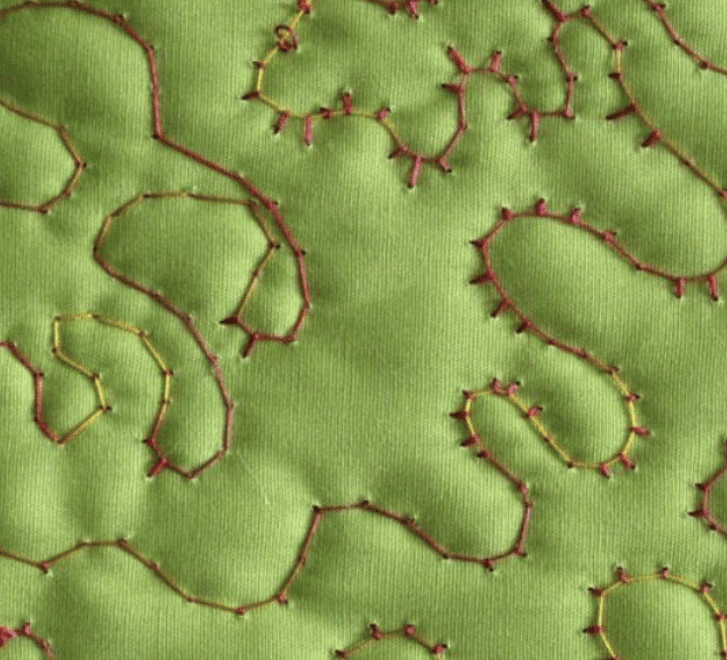 They pass through a variety of fabrics differently to produced a balanced stitch that doesn’t break, pucker or pull. Download this how to choose the right needle infographic and print it out to hang in your sewing room for easy reference so you’ll always choose the right sewing needle. Oftentimes sewists blame thread breakage on the thread itself, when it typically has done no wrong. Unless you’re using an old, weak or low-quality thread, the thread is never to blame. Thread breakage usually results from choosing the wrong needle; having too much (or too little) tension set on or by the machine; not threading the machine properly; or moving the fabric too fast under the presser foot. Whenever I have problems with my thread breaking, knotting or “eyelashing,” I always install a new needle and make sure the thread passes through the eye effortlessly before sewing. Choose the needle size based on the thread weight you’re using. A very fine thread used for heirloom work, such as the Sulky 60-wt PolyLite, requires a 60/8 needle, while a 12-wt thread requires a 100/16 needle. Test the needle size by first passing a strand of thread through the needle eye when it’s off the machine. Hold the thread ends in each hand and raise them up, one after the other, to see if the needle glides across the thread strand. If it does, you’re in good shape. 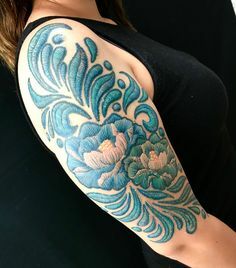 If the needle stops or you have to nudge it along the strand, try a larger needle. If it glides along too quickly, the needle size may be too large. You may have done all your homework to choose the right sewing needle and the stitch quality still isn’t up to your standard. Try adding a stabilizer to the project. Sometimes the fabric layers are too thin or stretchy and the thread won’t hold up to the stitching speed or presser foot pressure, no matter which needle you’ve chosen. Stabilizer to the rescue! 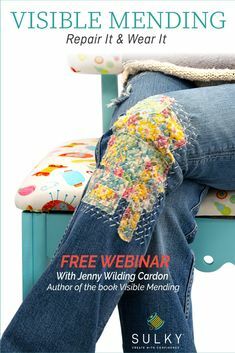 Using a tear-away stabilizer under knit seams is a great way to have better control while sewing. 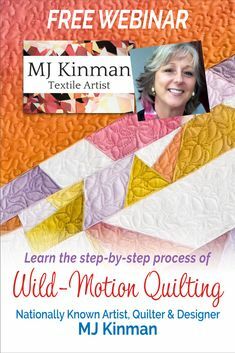 Simply tear away the stabilizer after stitching and no one is the wiser. Fuse Sulky Soft ‘N Sheer to lightweight fabrics before sewing. 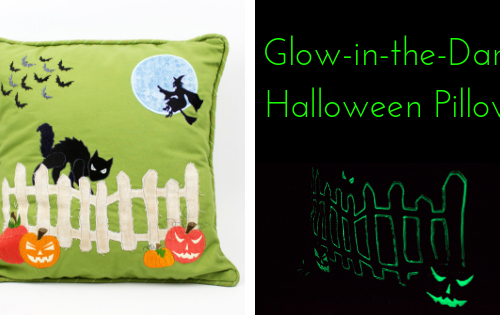 The stabilizer doesn’t add thread count to the fabric, allowing it to keep its drape and hand. 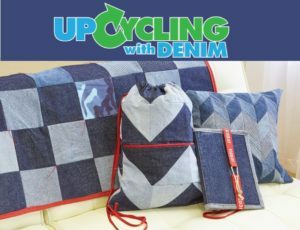 If the needle is pushing the lightweight fabric into the bobbin case during sewing, this is your answer. If you’re confused as to which stabilizer you should use, consult our Stabilizer Selection Tool. It’s a super handy reference! 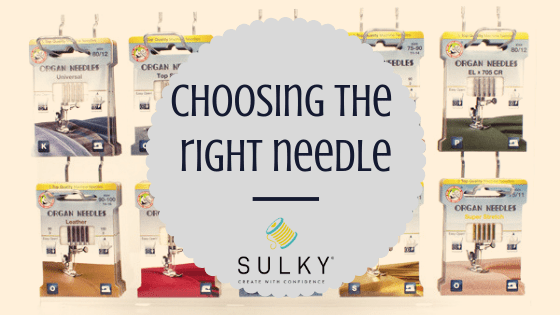 Which needle brand should you choose? There aren’t too many on the market, and I think I’ve tried them all. I choose brand based on convenience of packaging and storage. Organ needles now come in eco-packs. I have them hanging neatly in my sewing room on a peg board, allowing me to see which types and sizes I have on hand rather easily. It’s also a bonus that they’re made of corrugated cardboard, so there are multiple needle slots inside the sleeve. 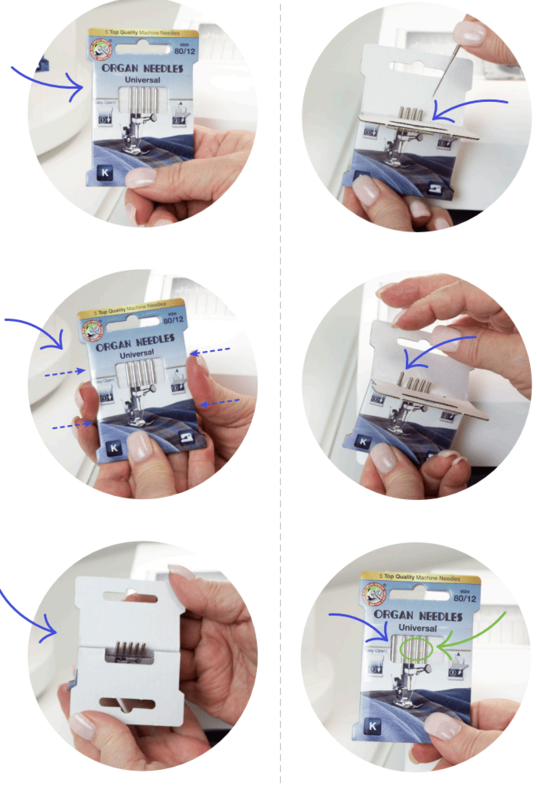 This allows you to use a needle and put it back in the package to the right or left of the other unused ones. 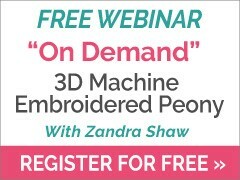 If you do a lot of machine embroidery, like me, you’re swapping needles all the time–sometimes in the middle of a project. It’s nice to be able to see which one has been used to install it back when you switch from embroidery back to sewing again. Don’t forget to download our the Sulky Organ Infographic to know where and when to use each type of needle. It’s not always as intuitive as you may think! Could not get the needle infographic to load. Not sure if the link is bad or other complication. Right clicking and choosing new tab get this url but nothing loads. file:///Users/ellenmarch/Downloads/Sulky_organ_flyer_distributor_How-to-choose_email.pdf May look on sulky website for same. Thanks. Thank you! The link has been fixed. Enjoy!